For common Indian public, I have made this tutorial in simple hindi language. With this tutorial, they can learn the 5 steps to apply passport online in India. 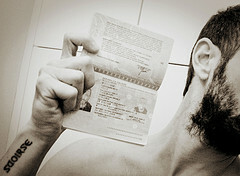 To view the next video in this series click: http://www.monkeysee.com/play/13861-how-to-apply-for-your-first-passport. American citizens that live in Florida have three options when it comes to obtaining a new U.S. passport. They can apply at a local passport application acceptance facility, a regional agency or a professional expediting service. The location you choose will depend on a few factors. Let’s look closer at each option. The first option, which takes the longest amount of time to process, is to apply at a Florida passport application acceptance facility. These facilities are most often located in local post offices but they can sometimes be found in public libraries or county clerk’s offices. Residents of Florida will find at least one passport office in each of the following counties: Alachua, Baker, Bay, Bradford, Brevard, Broward, Calhoun, Charlotte, Citrus, Clay, Collier, Columbia, Dade, De Soto, Dixie, Duval, Escambia, Flagler, Franklin, Gadsden, Gulf, Hamilton, Hardee, Hendry, Hernando, Highlands, Hillsborough, Holmes, Indian River, Jackson, Jefferson, Lafayette, Lake, Lee, Leon, Levy, Liberty, Madison, Manatee, Marion, Martin, Monroe, Nassau, Okaloosa, Okeechobee, Orange, Osceola, Palm Beach, Pasco, Pinellas, Polk, Putnam, Saint Johns, Saint Lucie, Santa Rosa, Sarasota, Seminole, Sumter, Suwannee, Taylor, Volusia, Wakulla, Walton, Washington. There are a few counties that do not have a passport application acceptance facility. In this case, you need to look in neighboring counties. 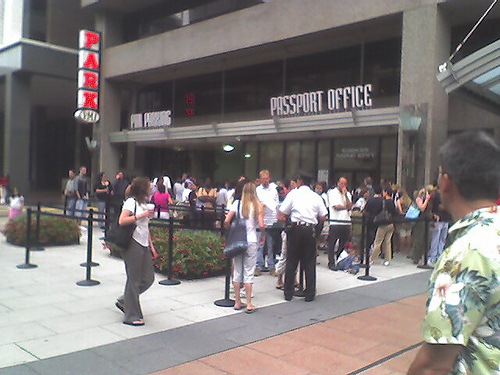 Dade County has the largest number of passport offices with at least forty-two. The state capital has three locations. Here is the address of a couple of these. Routine processing takes four to six weeks. Expedited service will get your application processed in two to three weeks. If you need to get your passport faster, then you will have to choose an alternative method. Another location where Florida residents can apply for a new passport is the Miami Passport Agency. This regional agency attends American citizens who need to get their travel document in two weeks or less. Regional agencies process same day passports. The address is given below. The first step to applying for expedited passport service at the Miami agency is to set up an appointment. You do this by calling 1-877-487-2778. During peak travel seasons, the line can become congested. It may take several attempts before you are able to schedule your appointment. The regional agency is open from 8:00 am to 3:00 pm, Monday through Friday except for national holidays. They are not open on weekends. You are encouraged to arrive a little early since you have to pass through the security check. You will then be directed to the appropriate room where you will take a number and wait to be called. When your number is shown, you direct yourself to the appropriate desk and submit the application form and supporting documents to the passport agent. If all your documents are all accepted, you will be asked to return later to receive your passport. This will very likely be the same day. Problems with your documents can delay the process. To avoid this, it is important that you verify all the requirements and follow them carefully. Florida residents, who must get a passport quickly but cannot personally visit the Miami agency, can still obtain a passport in a hurry by applying through a professional expediter. Expediters are registered with regional agencies for the purpose of submitting applications for American citizens who cannot do it themselves. While there are several expediting services that operate in Miami, it is good to choose one that has offices in other locations as well. The reason is that the regional passport agencies limit the number of same day passports that each expediter can request at each agency. Expediters that operate through several agencies can submit a larger volume of same day passport applications. Expediters have been around for decades and are a great resource when you are in a bind and run the risk of having to cancel your trip. Visit U.S. Passport Service Guide for a complete list of Florida passport offices or, if you are in a hurry, to compare emergency passport service providers.